Business InsiderThe iPhone 6’s camera. Apple could make some noticeable and significant changes to the next iPhone’s camera system, according to Daring Fireball’s John Gruber. Blog The Tech Block (via MacRumors) was the first to pick up on this nugget in Gruber’s podcast “The Talk Show,” which went live on Nov. 15. There’s no guarantee that this is true, but what Gruber is describing sounds a bit similar to the camera on HTC’s One M8. 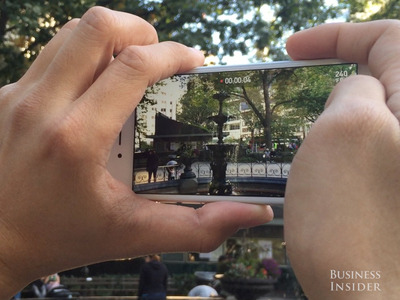 HTC’s phone comes with two lenses so that you can add 3-D effects to photos. Based on what Gruber said, however, it sounds like Apple would use this type of technology to boost image quality rather than adding quirky effects to photos. Over the past several years, Apple has made some incremental improvements to the iPhone’s camera. Often times, this has included adding new modes for slow motion, time lapse, and panoramic videos.